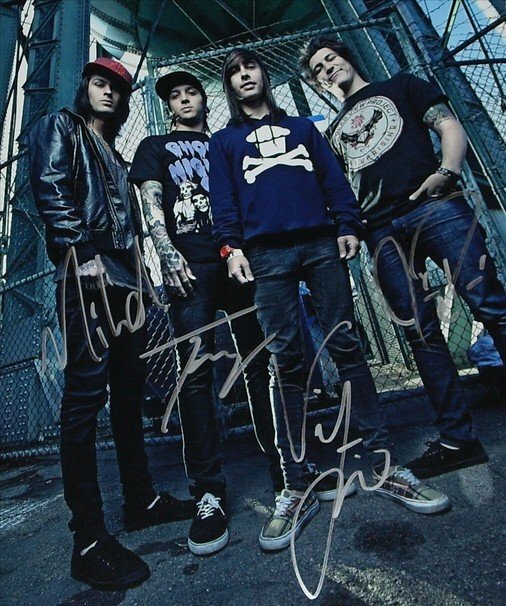 You are bidding on an autographed photo signed by all band members of PIERCE THE VEIL. The photo is 8x10 in size and is a high gloss photo. This photo is a wonderful collectable item and is a reprint of the original. I will ship your photo out within 24hrs. I will protect your photo with a plastic sheath and cardboard to prevent the photo from being bent. I fully guarantee my photos. If you are not happy I will give you a full refund. NATE FEUERSTEIN NF SIGNED PHOTO 8X10 RP AUTOGRAPHED RAPPER ! ARIANA GRANDE SIGNED PHOTO 8X10 RP AUTOGRAPHED VICTORIOUS !